Dubliner Evans, an under-19 international with the Republic of Ireland, has signed on loan for the Bloods for the next month and goes straight into their squad for today's game against Worcester City away. 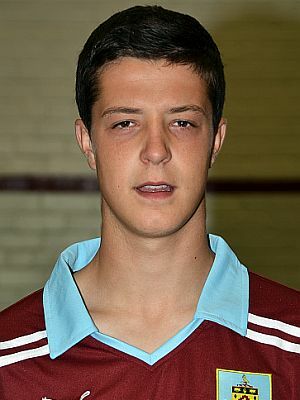 Like Coleman, left winger Evans served a two year scholarship with Burnley in the last two seasons. He played in the two-legged FA Youth Cup semi-final against Blackburn last season, earning himself a one year professional deal with the club. This season he's been part of the development squad, scoring in the 3-3 draw against Celtic two weeks ago, this having scored nine competitive goals last season for the youth team. He's the third of that team to go out on loan, alongside Coleman and Tom Anderson who is at Barrow with Joe Jackson until January. Those four are joined by Kevin Long, Alex MacDonald and Jon Stewart who are all out on loan at Portsmouth, Plymouth and Alfreton respectively.